My cousin and I spent the weekend camping out at Franconia. 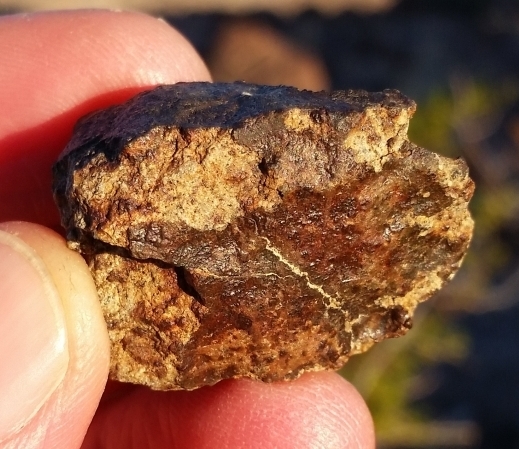 We arrived a few hours after dark on Friday night; we had planned to meet up with Richard, Roy & Cody, and Robby & Bob the next day for a full round of meteorite hunting in one of the world's most famous strewn fields. 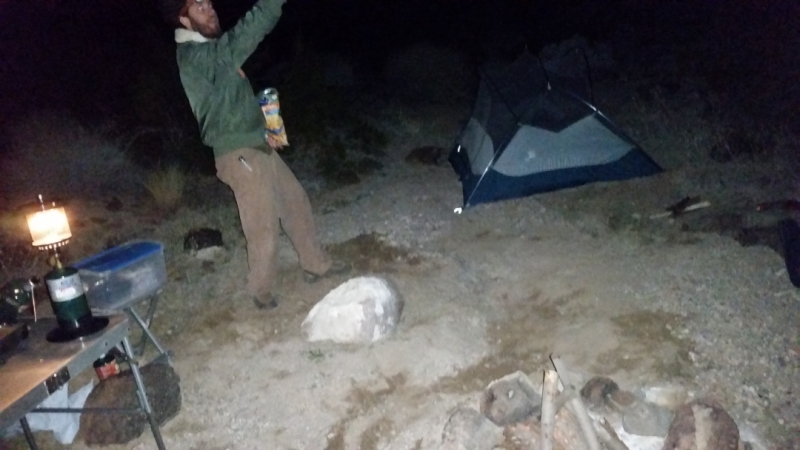 We got our camp set up and made dinner, then sat around the camp fire and enjoyed the desert on a winter's night. Is that a UFO? The next day we woke up late, cooked a camp breakfast, and then hiked out to meet up with the rest of the gang who had been in the field since dawn. 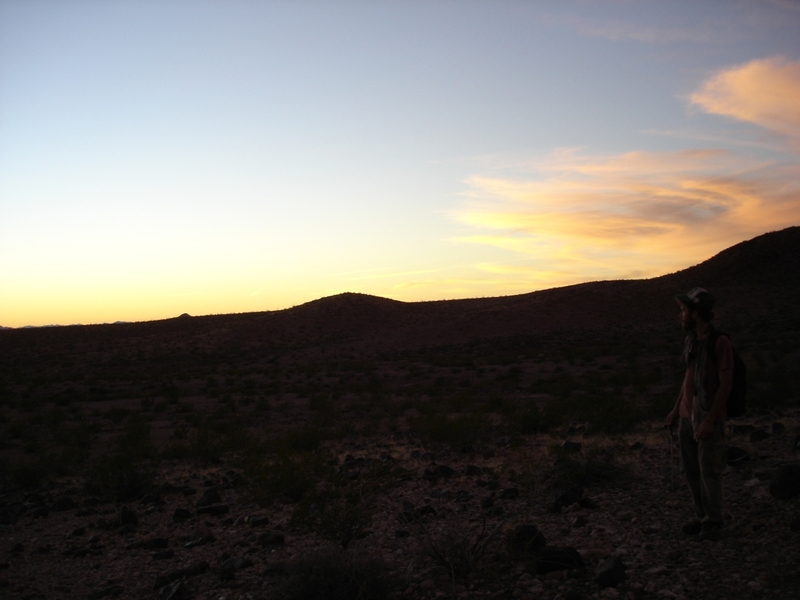 We caught up with Roy and Cody on top of a hill, Roy had already found a small meteorite that morning. 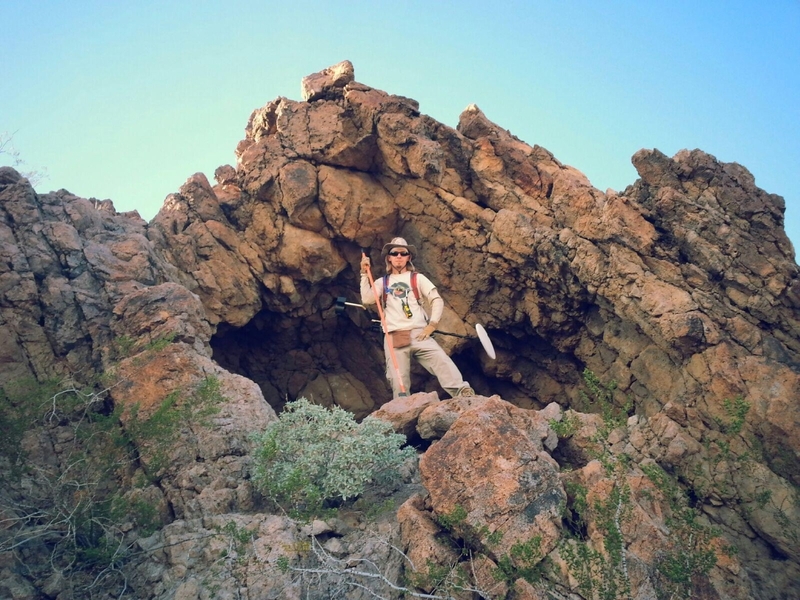 My cousin wanted to hike up to some caves and check them out, so we left Roy and Cody and headed down a wash. About 10 minutes later Roy radioed that he had found another small one! Next up was Richard, who said on the radio, "It's at least 100 grams." And it was. About 1/2 mile from where we left Roy my detector sounded off and it was just the sound I'd been waiting to hear. 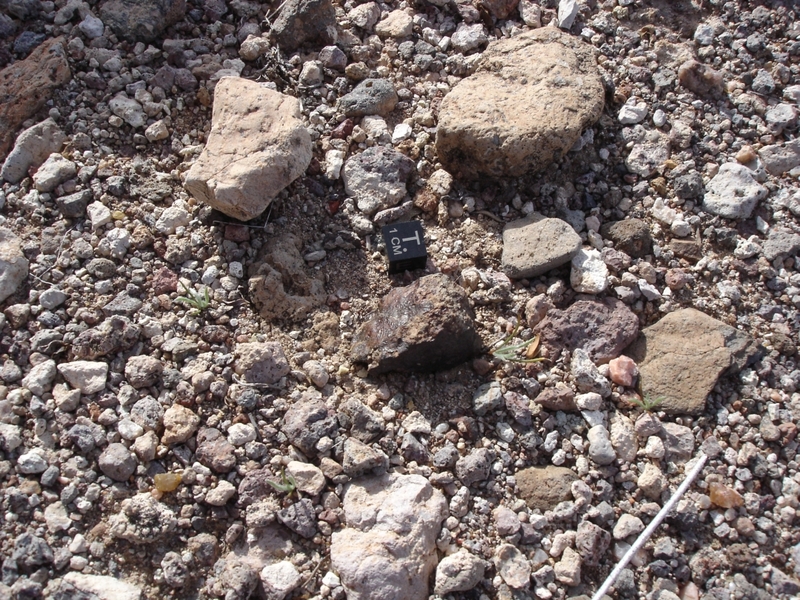 I quickly scanned the ground where the detector had been and spotted the meteorite sitting right on the surface. I called my cousin over, who had literally been mid-sentence asking me what the biggest one I had ever found was right when I found this one. This one weighed in at 23.3g, making it the 3rd or 4th largest I'd found. Delicate flow lines are still visible in the fusion crust. We made it to the top of the hill and paid our respects to the caves. 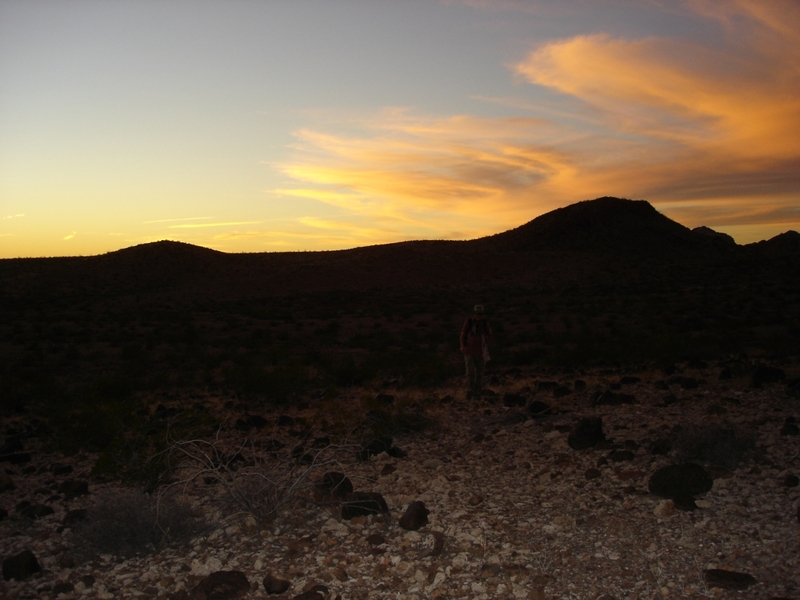 After a late lunch we started the hike back down to camp, stopping only to take a quick picture of the sunset. We were less than a mile from my truck when he noticed the phone was missing. Luckily I keep my gps running the entire time I'm away from the vehicle, so we turned around in the almost complete dark and retraced our steps. 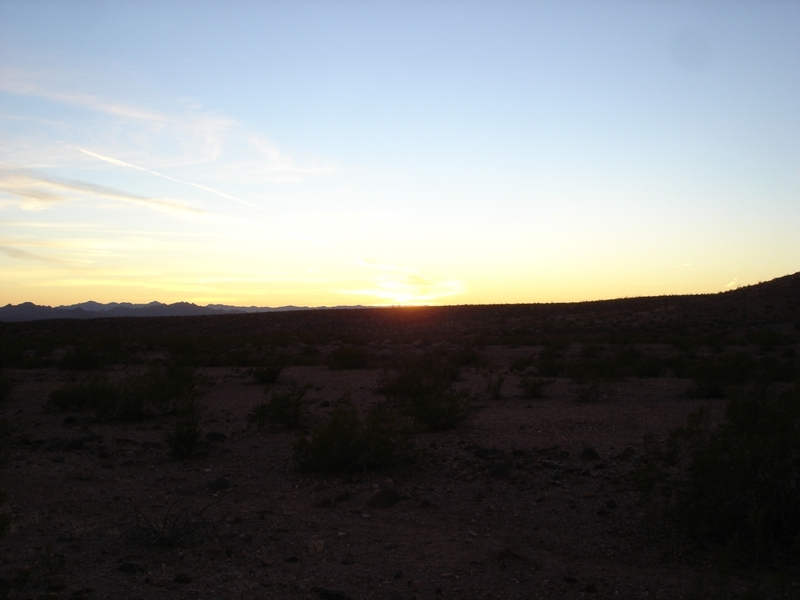 If we couldn't find it by the time we got back to where we had taken the sunset pictures we would have to come back in the morning and look in the daylight. At one point I looked at my gps and realized we were about 20' off the track, so I sidestepped over and right there on the ground was Josh's phone. We made it back to the truck using a small flash light, and enjoyed a warm dinner back at camp. 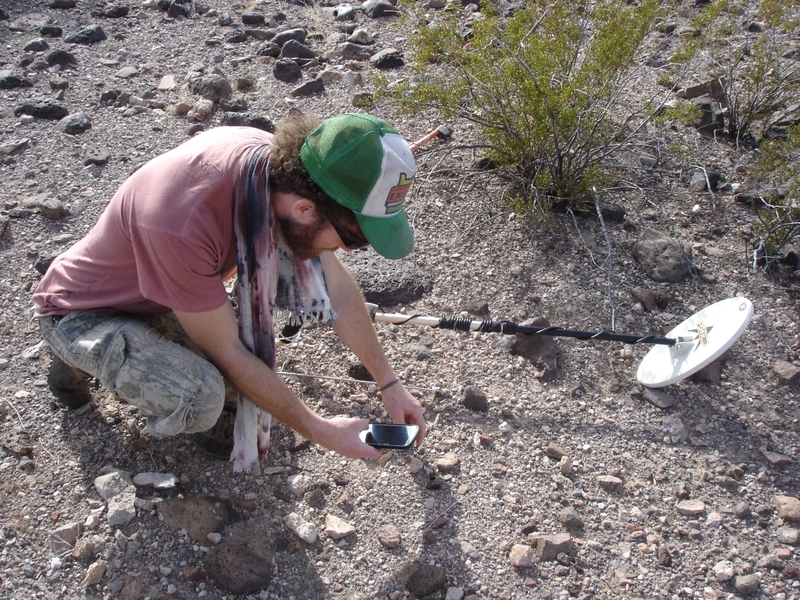 I don't know which find was luckier, the meteorite, or the cell phone.